When it comes to award winning salespeople, you will be hard pressed to find one with a longer list of profession accolades than Annie Need. Recognised as one of Adelaide's most successful realtors her dedication to her work has cemented her position amongst this states real estate elite. Annie Need is from a rural background and has established a comprehensive list of clients from the country as well as those residing in the city and takes pride in assisting them all with their real estate needs. A former board member of The Real Estate Institute of South Australia (REISA) Annie has represented REISA on the South Australian State Housing Planning Committee. Annie is a firm believer in giving back to the industry in which she enjoys tremendous success! Multi Award winning salesperson, Annie Need is well known for achieving outstanding results for clients and her renowned "Annie's Favourite Quotes" - certainly a readers' favourite in the Saturday Advertiser and the Messenger. 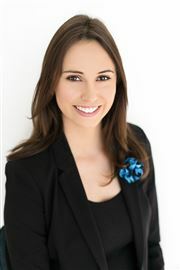 Annie Need is recognised as one of Adelaide’s most successful realtors. Her enthusiasm and reputation for giving the highest level of professional advice, service and negotiating skills has resulted in hundreds of successful sales and clients referring her to family and friends. "We are what we repeatedly do. Excellence then is not an act but a habit". 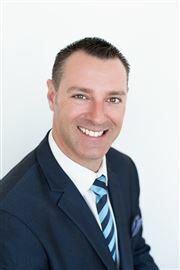 Brett Taylor lives with his young family and specialises in residential sales in the central western suburbs of Adelaide. 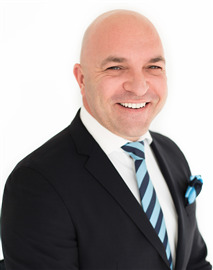 Brett prides himself on maintaining a professional approach at all times with a view to ensuring his clients receive the best possible service when buying or selling property. He believes the key to his sales success is positive communication. Brett takes the time to understand his client’s requirements, by carefully listening and responding to need with quality advice. He applies his expertise and knowledge to help clients navigate the complex buying and selling process by keeping things simple and in so doing, positions them for success. Understanding the clients needs and how your property fits in a competitive real estate market is essential to creating success for his clients. 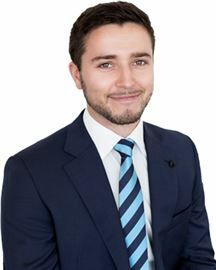 To achieve this Brett conducts extensive research on all properties to provide an accurate and up to date professional appraisal that is current in today’s market and shows the vital interest in and respect for the aspirations and plans of his clients. Brett’s motto is “It’s all about you and what he can do for you” he believes that service is everything. Call Brett Taylor from the Harcourts Packham team today on 0439 581 680 for a quality no obligation, free appraisal. Mike also knows that buying or selling a home is not a daily occurrence in your list, some experience the elation just once in 15 years....he's conscious of your comfort, your stress levels, and is great at reading people which means that you'll always get your chance to talk and feel good about it, preferring to meet face to face in critical negotiations. Persistence. Bringing deals together. Whether it takes one week or one month, Mike never tires of the chase. The thrill is just as sweet 40 years on. Indeed, variety comes from his individual service -no two scenarios are ever the same -and difficult situations are an adrenaline-inducing challenge. Negotiation. Riding the waves of the market -conditions are not always favourable, but Mike has a way of educating you through the process, so you'll always feel confident that your trip to shore will be smooth sailing. The minute you mention client satisfaction, Mike Wignall proudly shares tales of his clients, current and past, achieving great results. Vendors and buyers securing dream homes. He gets such a satisfying buzz from it. Mike's difference is his wealth of knowledge in the western beachside area having grown into, and up with, his family business -living and breathing real estate since 1972 in Glenelg and Holdfast Bay. So why list with Mike? You'll know with confidence that he strives for the best possible price. Rain or shine, he'll move mountains to make a deal stick. More importantly, he swears by his unrivalled local knowledge. What's not to like about that? Experience, honesty and enthusiasm are among the many qualities that continue to define Pam's impressive real estate career of over 40 years. She understands that selling your home can be stressful and aims to make the process as smooth as possible. Pam is happy to advise on every last detail of your home's presentation for sale. An astute business woman, she is also well known for her tenacity in negotiating successful sales. Sharon’s real estate philosophy is simple – to provide a very personal service through close communication with her clients during every phase of a property transaction. Sharon’s friendly and professional approach to her career has resulted in a highly successful sales record and a growing base of loyal clients. Qualified as a Licensed Real Estate Manager, and absolutely committed to achieving the best possible result for her vendors. Sharon has gained a wealth of sales experience after more than seventeen years in the industry. Sharon’s enthusiasm and desire to succeed is well complemented by Brock Real Estate. Our high reputation as premium marketers and auctioneers of property, and the support of Adelaide’s finest real estate team will ensure Sharon is supremely placed to offer outstanding service to each and every client. “We apply the fundamental principles of excellence, expertise, service and solutions to all aspects of our business to ensure our clients meet their expectations.” Simon is a trusted sales professional who has been specializing in Adelaide’s Western and Beachside suburbs for 20 years. Constantly responding to an everchanging market and with an abounding knowledge of the property and strategic trends, allows Simon to gauge the true state of the housing market in an area loved for its golden beaches, rich heritage and lifestyle opportunities. Simon’s exceptional attention to detail, energetic market drive and dynamic negotiation skills, is what sets him apart from his competitors. Combined with the support of his team, the multi award winning Need | O’Donohue Team, ensure his clients are provided with an incredibly professional real estate experience every time. All the while delivering a proficiency that is second to none. Taking the ‘sales pitch’ out of the transaction instils a level of comfort between Simon and his clients. Trustworthy and genuine are some of the key ingredients that help him build authentic relationships. Straightforward, realistic and honest, you can always rely on Simon to act in your best interests. Driven by his passion and enthusiasm to help people in making some of the biggest financial decisions of their lives. Simon is a gifted communicator who enjoys building lasting relationships along with a strong referral network. Call Simon O'Donohue on 0433 785 550. “Detailed & Driven” Simon was recommended to us by a friend. We found Simon's attention to detail was excellent. His communication/feedback/updates throughout the whole sales process was also excellent. After making our choice of agent he certainly made us feel confident that we had made the right choice. We believe that the result the he got for us was exceptional, being very happy with the price and property sold within several days . “Top Agent” Very personable, trustworthy agent who gets the job done well! “Great Experience!” As a buyer, I understood the Agent's job is to get maximum money for the vendor, however in dealing with Simon I got the sense he was very honest and fair with all parties. I felt safe putting my best offer forward for buying our new home and no games were being played in the background. Thanks Simon, from Brodie and Dan. “Super-Efficient” I really appreciate how organised he was  Absolutely happy and recommend him to friends for sure. Thanks once again to Simon for his great job “Knowledgeable and Professional” Good knowledge of suburb. Did a good job of assisting us with the sale process. Rachel works alongside the Need | O’Donohue Team to ensure your journey is the best possible experience. Being part of a high-powered team that is client focused and results driven helps give the three of them an edge in a highly competitive market. Rachel understands the value of people first. From the initial action to the final deal, she is behind the scenes helping her team make the sales process run smoothly. Competence and loyalty underpin every aspect of Rachel’s work, so you can feel confident while making major life decisions alongside this trio. Add Value - Renovate or Build! When Quality & Location Count! Executive Living at its Best!